When it comes to quality video editing, many people think of it as a time-consuming work which requires advanced skills of complex software. Most of us think it is tough to create an appealing video with better effects. In this case, Filmora comes into picture when you need a software which is both simple and easy to do video editing job quickly without any fuss. This video editing software is created by the house of Wondershare. The major feature of Filmora, which sets it apart from its competitors, is it’s highly simple and easy to use interface. Even with the market full of great video editing tools, this software is a perfect fit for a personal and mildly professional job. Mentioned below is Filmora review which explains about the software’s capabilities and USPs. When you run Filmora, you get two options. The Wondershare video editor presents to mode – Easy Mode and Full Feature Mode. The easy mode has all the basic and important features while the full feature mode has every feature and tools Filmora brings. At first, you have to import the video to Filmora before trying to access any of its features. You just have to browse for your required video. The first option that appears is the Music Editor. It provides the ability to add music anywhere in the video. There are many files which Filmora provides your which can be downloaded separately. You can also import music files too. This software comes with a huge collection of text with the word art which simply impressive and appears very professional. It can be compared with word art of high-level software like Canva, even when Canva is a completely different application. Filters are commonly used these days which is visible in social media. Filmora brings a good collection of filters. They fix the minor glitches along with beautifying the entire video. It has over 100 filters, few of which will do the job you wish to do. The overlay is a type of coating which covers something. In Filmora, it means that overlays are simple coatings to make the video look more nature. You can add cool effects using these overlays on your video. Elements are quite crucial at various times. An intelligent and creative use of elements can bring shine to your video. This software has over 300 elements. Each element has specific time period mentioned, and you can see it floating around the video during its specified duration. With inbuilt transitions you can adjust the scene changes during the video look beautiful. You can also have multiple screens at a time by using its Screen Splitter, which also divides the video screen marvelously. In case you wish to export your video, you can directly export it to Facebook, Youtube, Vimeo, etc. You can also burn the video to da DVD too. You can also send the video to a smartphone or other device. This software provides the video in many formats which you can pick according to your requirement. You can edit the videos frame by frame to modify even the slightest part of the video. You can control the speed or can go reverse. You can also use the audio separator and audio enhancer to add more effects to your video. You also get tools to trim, crop adjusts aspect ratio, control volume, contrast, fade, saturation, brightness, etc. The Picture-in-Picture feature allows you to add a part of a particular video in another video. You can add up to 10 videos in one. Pricing A simple 1-year license per piece costs at $29.99. For lifetime license, you just have to pay $49.99. In the case of multiple PC, you can easily get a lifetime license for a mere $120. 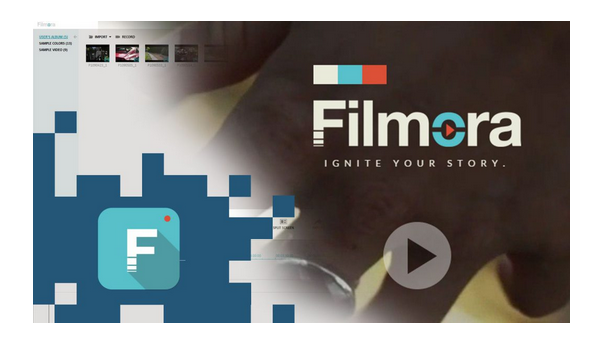 Hope you liked our Filmora review and will give a try with this excellent software.